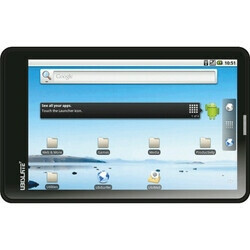 Remember the Aakash tablet? It hit the Indian market back in December of 2011 to good demand, and although it was far from a powerful device, it carried a very competitive price tag of about $60. However, even though the Aakash has been around for only several months, its successor is expected to launch no later than next month, as just announced by Indian Human Resources Development Minister Kapil Sibal. The Aakash 2, as the device is called, has a 700MHz ARM Cortex A8 processor, which is a huge improvement over the 366MHz chip found in the previous model. The 7-inch WVGA screen has also been tweaked and is now of the capacitive kind. The 3,200mAh battery should be good for up to three hours of usage, and getting online will be possible either via Wi-Fi or GPRS. Furthermore, the device comes with two full-sized USB ports and can be used as a phone. As far as pricing goes, students in India will be able to purchase the Aakash 2 for 2,000 Rupees, which is about $40. Not a bad deal, don't you think? A $40 price tag seems like a very solid deal for it's specs. Will it capture Samsung, Apple market? they made the sequel after testing the 1st version in the universities. Those students told that the tablet lagged way too much to be productive. therefore they upgraded the specs.